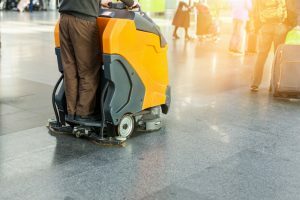 Maintenance and cleaning of retail, office, multifamily, and other properties have long been an issue for property managers. However, today’s technology advances are changing the way these issues are reported, tracked and managed. Some technologies, like Toolbox Group’s platform, Mallcomm, make it possible for tenants to take a photo of a maintenance issue and, in an instant, it goes directly to the proper team and gets flagged as a to-do task. Property management can also monitor response time, including how long it has taken the team to resolve or complete the issue. Fortunately, technology allows for two-way responsive security and more efficient critical communications. For instance, the panic button on an app getting directly to a control room is so much faster, safer, and more reliable than calling. One instant message to all of your tenants, as well as their staff, in a critical situation, can make all of the difference — and you can monitor who has received and read your alert, plus there is the ability to receive responses. Operating a retail business is no doubt a hard job, and managing internal communications and operations is no exception. The complexity of the process will depend on the size of the business, dispersion, and number of workers, as well as other factors. 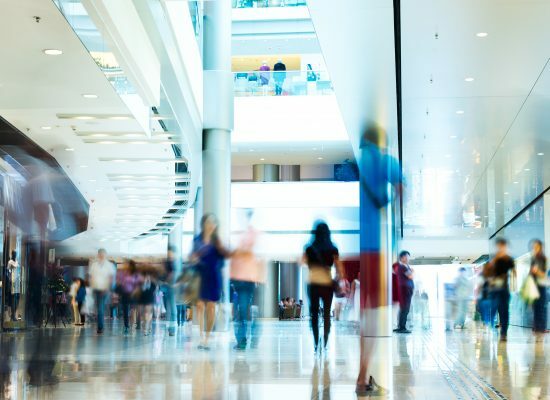 According to Infraspeak, there are four main challenges that most retailers report facing: scalability, tracking, automation, and reporting. Technology also allows for the ability to easily stay on top of deliveries, access, permits, and more. Think about it — there would be no more paperwork that can go missing, and it cuts down on notoriously lengthy approval processes. Rather, all of these processes can be managed instantly through an app. Even businesses that you may not typically think of as having extensive needs for document management can likely benefit from a document management system and easier access to their key documentation. A perfect example of this is the retail industry. While most people are only familiar with retail brands based on their sales floors or showrooms, those businesses actually have extensive files and back office tasks just like any other business. Utilizing technology allows for easy access to key documentation. There’s no more printing or searching emails for handbooks, forms, or other key documentation. Instead, these are all accessible through mobile technology and an app-based platform. Technology allows for more efficient and effective two-way communication to keep tenants informed about what’s happening in the community and how they can feel involved, plus it can alert them to any potential or impending issues that may arise. There are a number of advantages to electronic communication. For instance, paper or email newsletters tend to disappear into the abyss; plus, they often rarely reach all of the people they should. This type of ineffective communication can be a thing of the past, using mobile technology — while also cutting down on the resources needed to get the information out. Technology can make all of these much more efficient. Mallcomm does this, as an app that gets the right information to the right people at the right time — and makes workflow processes much more effective. To find out more about how your building can increase operational efficiencies, feel free to contact us today.